The popular Open Source Meetup returned for IBC 2017! 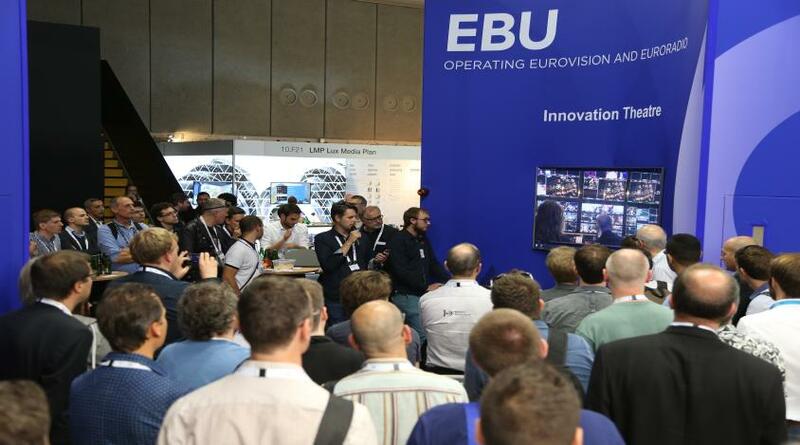 Each year the EBU runs a popular Open Source Meetup on our stand at IBC, with short lightning talks covering the spectrum of broadcasting and content. This year was no different, and we were pleased to welcome a large crowd of people interested to know and share their work. Open Source projects are a vital part of the technology landscape - most systems use or interface with opensource code in some way. Our annual event is a great opportunity to learn about new projects, catch up with updates to familiar projects, and to meet and talk with other people in the open source community. Multicoreware x265 HEVC Encoder: Learn about x265, the open-source software HEVC encoder that produces the best quality video for live and offline encoding, and how to contribute to it. Support of SMPTE 2110 for ffmpeg: Our project (sponsored by CBC / Radio-Canada) deals with supporting SMPTE 2110 in FFmpeg. Raw video (rfc4175) is now supported in FFmpeg by the merged code (31 march 2017). Performance with such a high bitrate (around 3 gbps) was a real challenge and will be discussed. Future work will also be explained: PTP support, performance issues with multi-stream. Streampunk Media IoT tools: An collection of IoT modules for Node-RED enabling stream-based professional media production. Create dynamic software infrastructure that runs on premise or in the cloud, with support for RTP, HTTP/S and production file formats. SoA for Production Workflows using Mule ESB: Our production information systems at RTS Swiss television are based on various manufacturers and interconnected using the SOA approach. This talk is to present the approach and the motivation to use Mule Open Source Enterprise Service Bus (ESB). NMOS IS-05 Reference Implementation: The NMOS IS-05 Reference Implementation is the first open source implementation of AMWA's new specification for Connection Management. The talk will cover briefly what IS-05 is and does, and how this reference implementation can help others to use it in their products. XAVC into FFmpeg: Development by EBU Member NRK to add XAVC(Sony) support to FFMpeg. This talk explains how this was achieved. GPAC support for High Efficiency Image Format (HEIF): HEIF is an image format based on HEVC compression technology, and standardized by MPEG. The GPAC team is a contributor and provides tools to support it. All the presentations from the event can be found by following the links above. To learn more about the EBU's Open Source activities, contact: Ben Poor (EBU).